I come to this position with the fundamentally American values my parents imbued in me. My father came here as a refugee in 1920 fleeing the pogroms in Poland. He headed our family’s dinner table conversations, wrestling with topics in the news, especially civil rights and politics. Those values sustain me today, including the unwavering dream of a United States in which immigrants and refugees are not only welcomed, but protected and encouraged to become important members of our society; a nation where separation of church and state is a guiding principle, and a good public education can be had by all. I’m convinced that we don’t all need to be elected to public office to uphold and further these values. We can also accomplish that by electing good people who will be the carriers of our concerns, principles and dreams. And we can support them as they work on policy, formulate legislation and weed through budgets. Through them we can make our stand for choice, equal pay, workers’ rights, human rights and for environmental, social and economic justice. 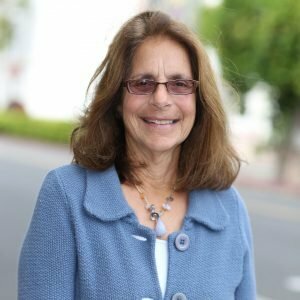 To people concerned about what they can do for our country and our future, our Santa Barbara Democratic Party offers a myriad of opportunities to participate. There are so many effective ways to use your voice and energy that match your style and other life’s demands. You can start by simply signing up to receive our emails. We’ll keep you informed of opportunities to attend special meetings and events, march, send emails, utilize social media, help register people to vote and help get out the vote, and so many other fun and productive activities. And check out more opportunities by clicking on the Get Involved tab on this website. Please explore this website. Whether it’s local Dem clubs, events, volunteer opportunities, election questions or other issues that interest you, you’ll find useful information here. And since the site is a new format and always a work in progress, please contact Tyler Gibson at wtylergibson@gmail.com with any suggestions, comments or questions you might have for the site and for our party. Finally, let’s always remember and honor the reality that most of us are standing on the shoulders of our parents and our ancestors, almost all refugees or immigrants at some point. We, the beneficiaries of their sacrifices, are also the guardians of their hopes and dreams for a better future. I hope you’ll join us in protecting our values through political action and community activism.